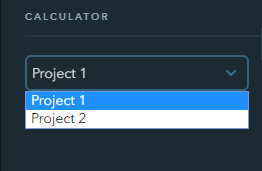 The Cost Calculator widget allows to create a form for calculating the cost of products and services. The form includes online payment feature and sends you a message once a new purchase is made. Drag the widget to the website, click on it to show settings and create an account with uCalc or connect an existing account. 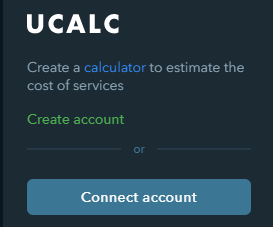 Once you have successfully connected your uCalc account to your website, choose one of the calculators have already created on uCalc. 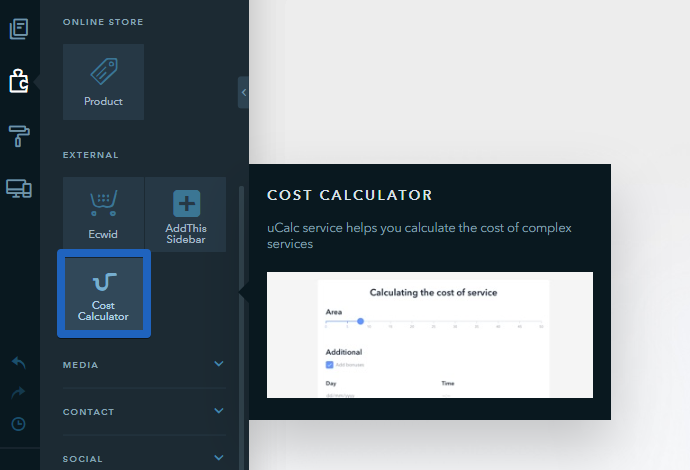 Learn how to work with the widget in the uCalc knowledge base. 28 people found this article helpful.